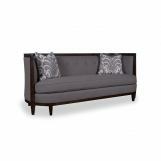 Dramatic shaped sofa designed with six legs in rich brindle finish, this Morgan Living Room Collection is sure to set your living room a haven to relax and enjoy. 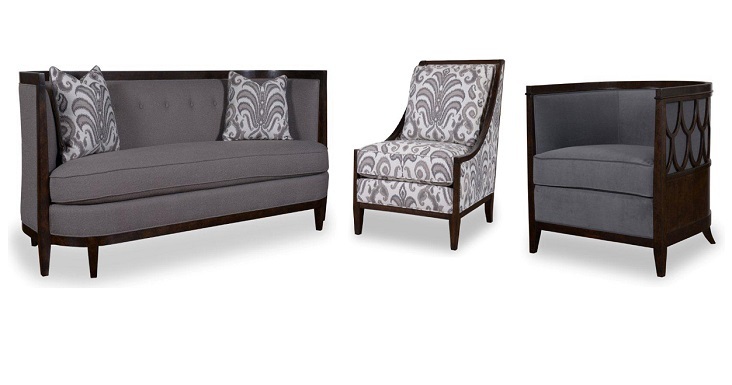 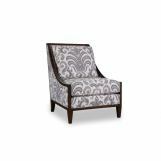 In charcoal grey textured fabric accented with stripes, velvet and classic framed medallion, button tufted back and tapered leg support. 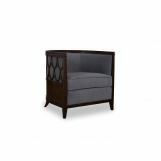 This contemporary styled Morgan Living Room Collection with modern transitional appeal, is a classy and elegant addition to your home that makes a perfect fit for your existing living room furniture or complete your living room set with the rest of the collection.